July 1940. Eleven-year-old Lydia walks through a village in rural Suffolk on a baking hot day. She is wearing a gas mask. The shops and houses are empty, windows boarded up and sandbags green with mildew, the village seemingly deserted. Leaving it behind, she strikes off down a country lane through the salt marshes to a large Edwardian house -- the house she grew up in. Lydia finds it empty too, the windows covered in black-out blinds. Her family is gone. Late that night he comes, a soldier, gun in hand and heralding a full-blown German invasion. There are, he explains to her, certain rules she must now abide by. He won't hurt Lydia, but she cannot leave the house. Is he telling the truth? What is he looking for? Why is he so familiar? And how does he already know Lydia's name? 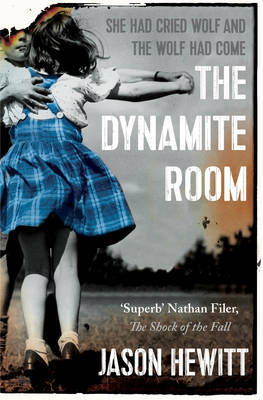 Eerie, thrilling and piercingly sad,The Dynamite Room evokes the great tradition of war classics yet achieves a strikingly original and contemporary resonance. Hypnotically compelling, it explores, in the most extreme of circumstances, the bonds we share that make us human.